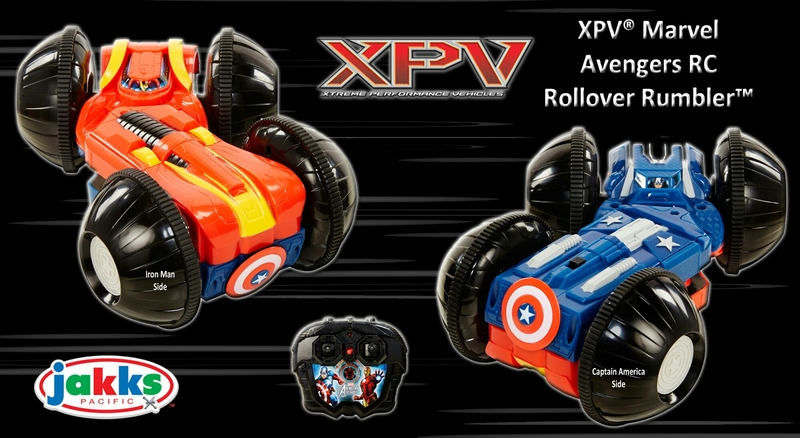 vehicle inspired by Marvel’s Captain America: Civil War™ film. for $49.99 and is available now at all major retailers. entertainment, licensing and publishing. For more information, visit marvel.com. (@jakkstoys), Twitter (@jakkstoys) and Facebook (JAKKS Pacific). At some point well before the close of “Avengers: Age of Ultron”, it’s hard to shake the fact that Marvel has created a real, modern day mythology. Even before seeing a literal rendering of The Avengers as marble statues, it’s a safe bet that nearly everyone in the audience understands that we’re not watching a movie about heroes and villains; we’re watching a movie about gods and monsters. Long gone are the days of the strongmen and minotaurs, the gods up high and the chimera plaguing the innocents. Long live the Age of Ultron – the days of Iron men and thunder gods, protecting a world not too different than our own from a villainous and hyper intelligent robot. 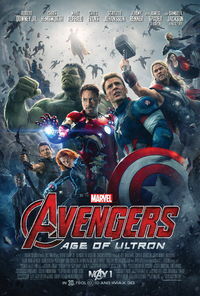 “Avengers: Age of Ultron” is exactly what every fan has hoped for since the close of 2012’s landmark film “The Avengers.” It’s quite possibly what every non-fan and “general audience” member expected it to be since the first teaser last year. A giant, loud, popcorn machine of a movie reuniting all of your favorite heroes and actors that have played them since 2008’s “Iron Man.” Robert Downey Jr? He’s back and reprising his role as the figurative godfather of the franchise. Chris Hemsworth? Marvel couldn’t let audiences forget about their favorite Norse god, especially since it’s been two years since we last saw in “The Dark World.” Don Cheadle? Wait, Lt. Col. James “Rhodey” Rhodes is in this? And he’s War Machine?? Yes sir, Cheadle’s back too. 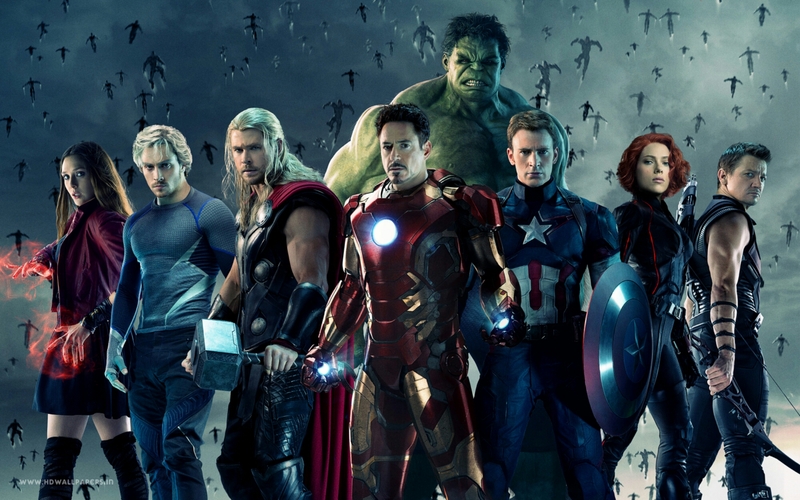 By now you should already be getting the point of how large the scope is of Joss Whedon’s “Age of Ultron”, cast alone. As for the story? The climax to phase two of the Marvel Cinematic Universe (with an epilogue of sorts to be found in this July’s “Ant-Man”) provides every bit of fan service that you could possibly hope for in a giant, comic-book movie kicking off the summer movie season. Opening where “Captain America: The Winter Soldier” left off (during the mid credit scene) we are reintroduced to the Avengers as they strike Baron Strucker’s (Thomas Kretschmann) fortress in Slovenia. They’ve been successful in dismantling the last vestiges of Hydra, and Strucker’s fortress of technological weird science is the last wall that needs to come down. In a brilliantly shot and choreographed battle, we not only have each member individually highlighted, but we get a complete “nerd-gasmic” moment (as Mr. Downey Jr would say) in a frame that shows all the Avengers alongside one another in the snowy forest. It’s a scene we’ve glimpsed in the numerous trailers and t.v. spots, but when seen in continuity and relation to the rest of the film, it pays off even more. 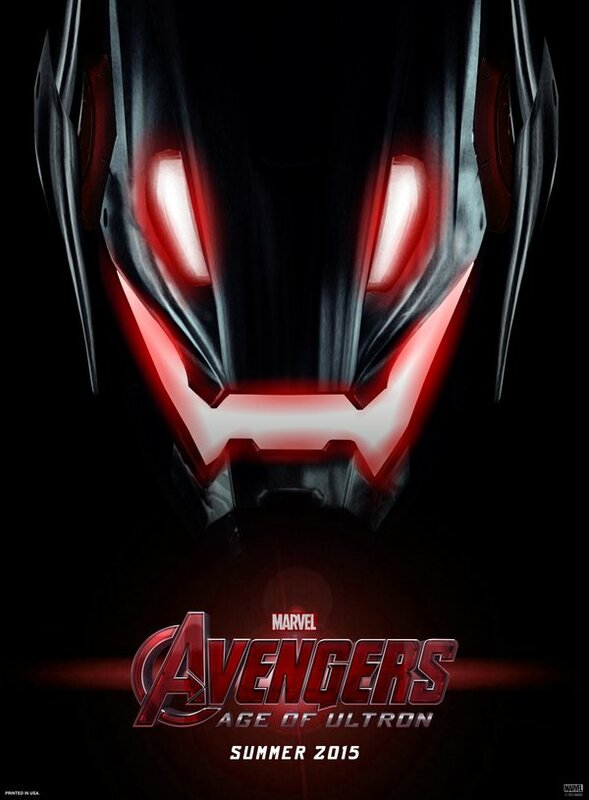 They return home after battling Strucker, Hydra, and the Maximoff’s (Elizabeth Olsen & Aaron Taylor-Johnson), only to face a newly created threat – Ultron (James Spader). Clocking in over two hours, “Avengers: Age of Ultron” is an ultimate celebration of everything our digital and social media savvy generation of theater goers have come to enjoy out of event movies of this size. Director and writer Joss Whedon doesn’t just follow a color-by-numbers format for creating en exciting and engaging picture – he creates his own coloring book! “Age of Ultron” is a visual spectacle filled with flawless special effects. Be it our most current rendered version of The Hulk, which is incredible, the quickness of Aaron Taylor-Johnson’s Quicksilver, or that of the animated life of Ultron, it’s hard to find any marks outside the lines. Each scene is filled with something to look at and be in awe of – the Avengers Tower set, the arms of Thor, the mesmerizing quality to Scarlet Witch’s powers, everything is awesome. “Avengers: Age of Ultron” succeeds in more ways than just being a pretty picture filled with pretty people. There is a story and heart beating at the very center of Marvel’s machine, just like Ultron himself. The exploration of heroes and what it means to be one is still at the forefront of Marvel’s eleventh film. Make no mistake that “Avengers” and the Marvel Cinematic Universe is the closest kind of movie series we’ll get to that of the success that Star Wars had back when the three original films were released. 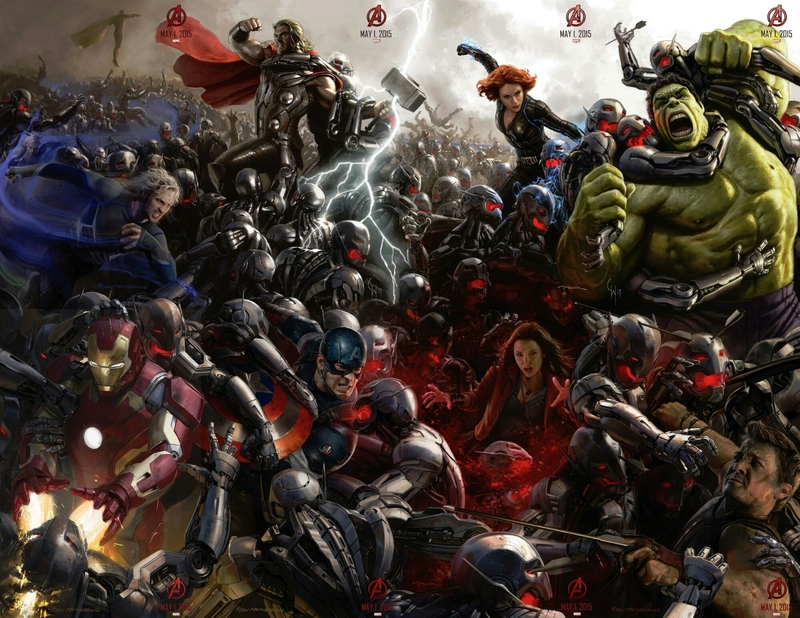 “Avengers: Age of Ultron” is a proper summer blockbuster that will certainly drive box office sales in the coming weeks. It’s only right that people flock to the theaters. We need more than heroes and villains to inspire, entertain, and caution us. Long gone are those days. Welcome to the new age of gods and monsters returning, only this time in the form of Robert Downey’s Iron Man, Chris Evans Captain America, and Scarlett Johansson’s Black Widow. The “Age of Ultron” may be over. But the Age of Avengers is everlasting. Just like any classic myth!